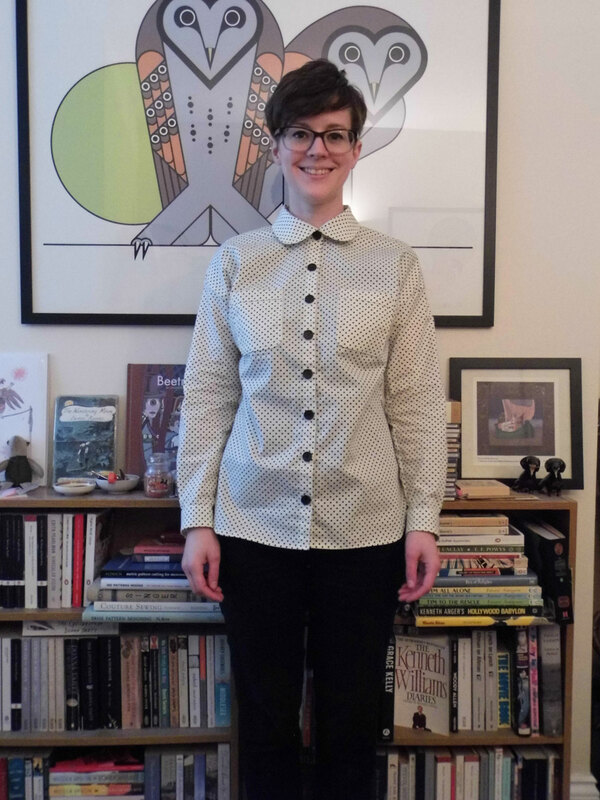 I’ve made another Melilot – I’ve made a long-sleeved and a short-sleeved version before – and I still love this pattern. 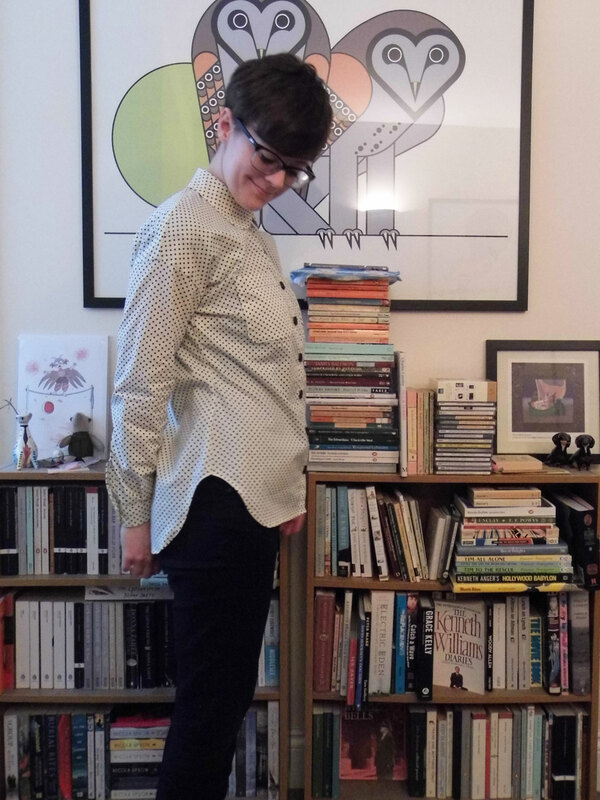 And shirts in general – hence my plan this month to make a Closet Case Patterns Kalle. 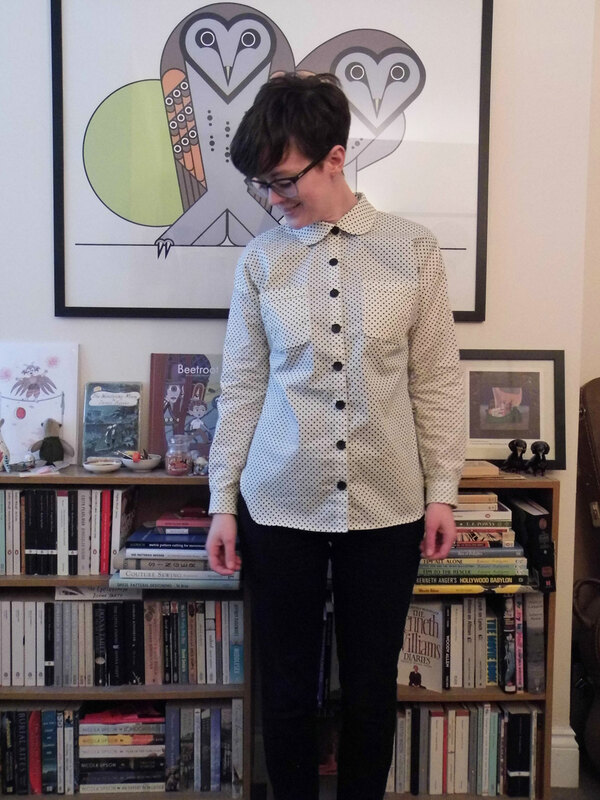 I made the size 38, as I have both times before and the fabric is this lovely cream cotton with black spots on from Sew Over It. Sadly they don’t have it in stock any more. I ordered it online a few months ago – I tend to order a bunch of fabrics at once and then it takes me probably 6 months to sew through it all! I decided to make another long-sleeved version because this Winter seems to be going on forever! And I figured I could wear it with a jumper or cardigan in the Winter and then without in the Spring – here in the UK we don’t get very much Summer where I want sleeveless/short-sleeved tops so I hope this will be a good addition to my wardrobe which will get a lot of wear. 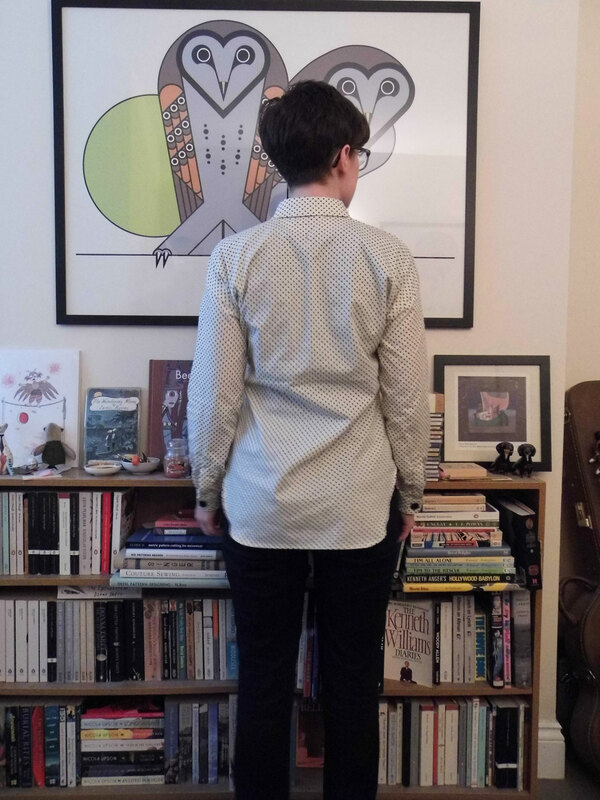 Probably my favourite thing about this pattern is the shape of the hem and how it goes up at the sides and is lower at the back than the front. I just think it’s really flattering. Looking at these photos, the buttons are maybe a little big compared to the size of the spots but I quite like them anyway. I sneakily stole them from the Dressmaker’s Ball last year as they were sprinkled on the table as cute sewing-themed decorations. Luckily I nabbed enough for a whole shirt! One of my favourite things about making shirts is all the top-stitching. It’s so satisfying when you do it neatly in the first go – and it forces me to slow down, which is always a good thing I think. There’s no point rushing for the sake of it and then having to re-do things multiple times – less haste, more speed as they say. 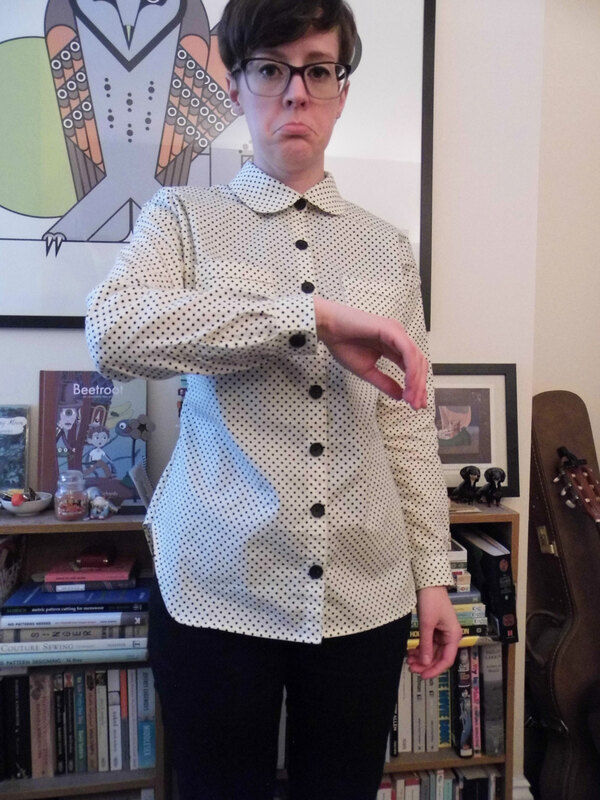 As well as messing up the collar slightly, I totally messed up the cuffs. I remember finding the instructions for the plackets a little confusing and I found them equally confusing this time – in fact you might argue I found them more confusing given that they ended up fastening the wrong way – from back to front instead of front to back. 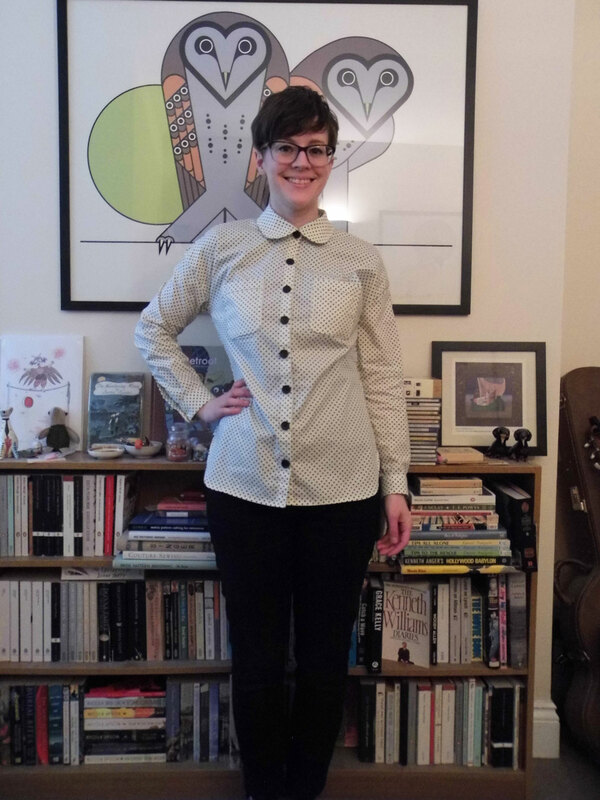 It’s not a massive problem that renders the shirt unwearable, and I’m sure no-one will really notice, but it’s a shame I didn’t realise my mistake until I’d already sewn (and cut) the buttonholes. Oh well. 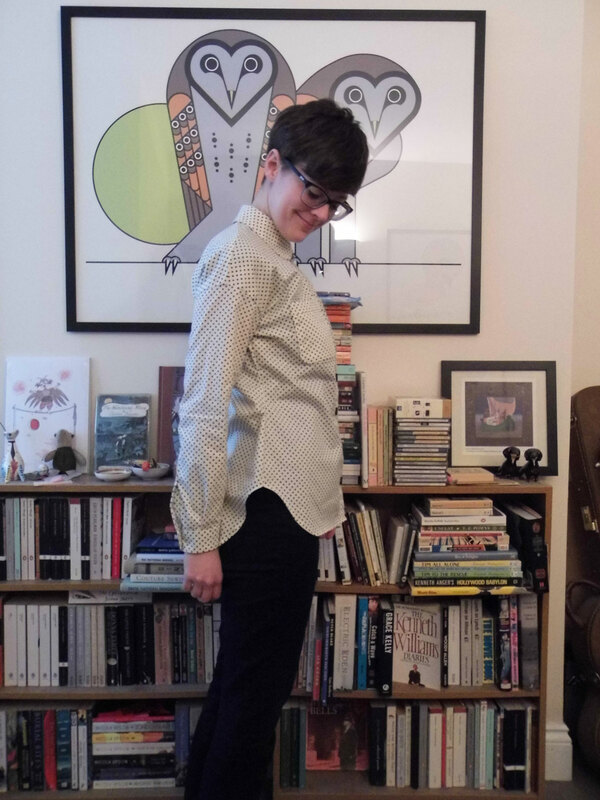 I think my next version of the Melilot will be another short-sleeved version, so I avoid the issues with the placket! I just finished a short sleeved one and it is so quick! Now I am half way through a long sleeved one but I saw the confusing placket and decided to do a much easier bound slit (should work in the rayon I’m using). 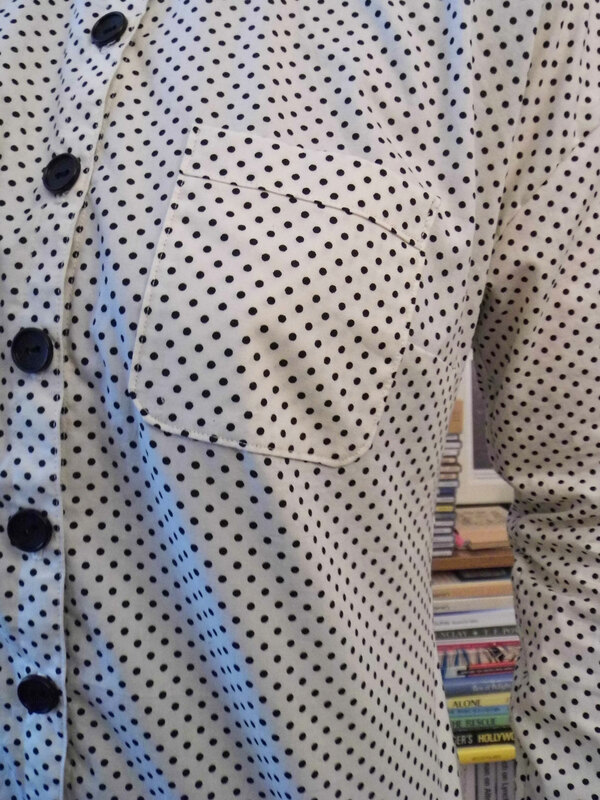 Sleeved version does take a lot of buttons – but I like the look of the larger ones with the dots – fun!